Aquaponics setup need holes to be made in growth beds, fish tanks etc.. 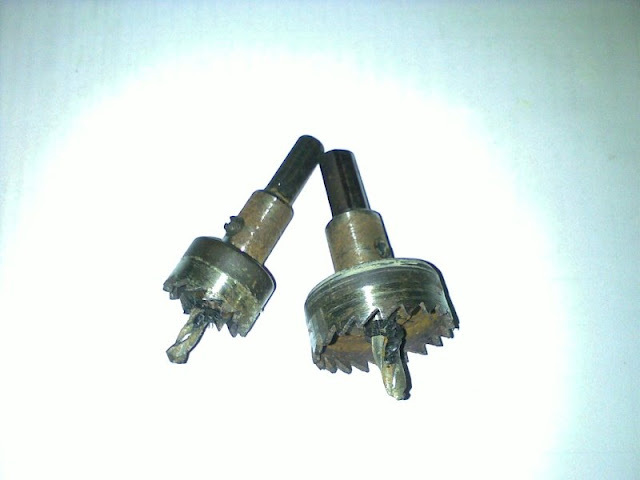 I use the common hole saw as pictured. 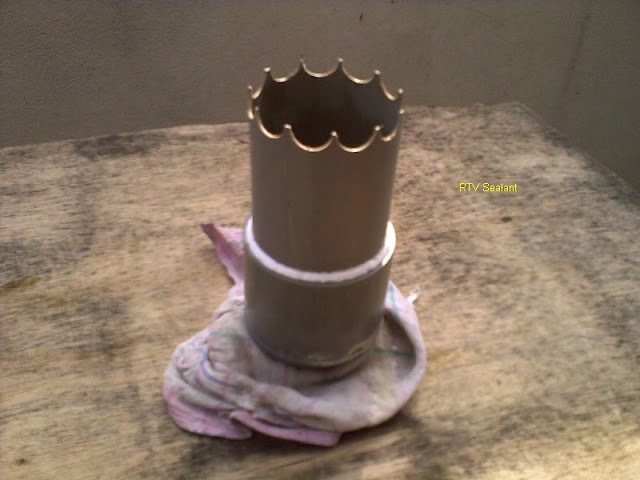 Get few of these to cover common sizes that you need, diameter of which should more or less match diameter of pipe used. Above photo, smaller saw is for 15mm pipe and bigger one for 25mm, I need to get a 50mm Hole Saw for my next project. "Crown" on this bell are made by 15mm Hole Saw.